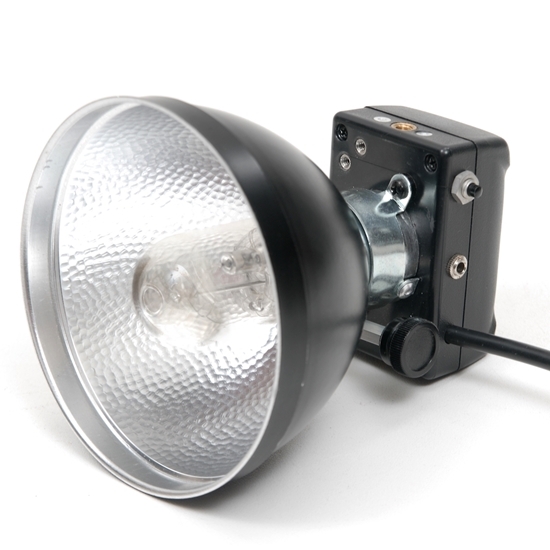 The HSMQ Extra Small Modeling Flash Head is the brightest and smallest combination in the world. Only our other Extra Small Heads can compare in size and this one has the 2400ws Quartz Modeling Flashtube while also having the bright battery powered modeling light feature. It uses the exact same circuit as the larger Heads but is rearranged to fit the smaller space. The only thing that the Head is lacking is the household sync connection because it was too large to fit into this very small new enclosure. So it only has a mini-phone sync jack. 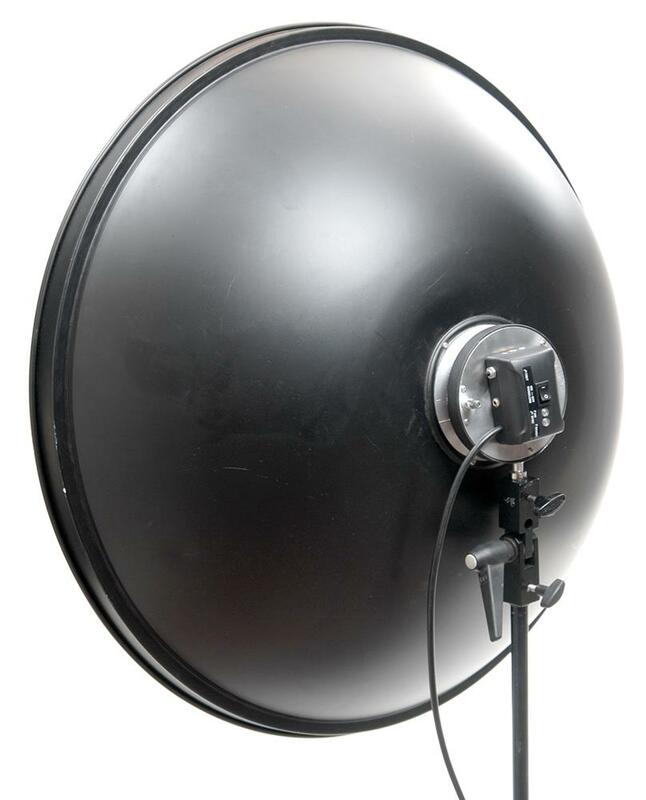 The HSMQ Extra Small Modeling 2400ws Heads always include an 2400ws AFTQ Modeling Flashtube with the separate AMBR Modeling Bulb and an AR5K Black Reflector Kit including a Grid and Diffusor. 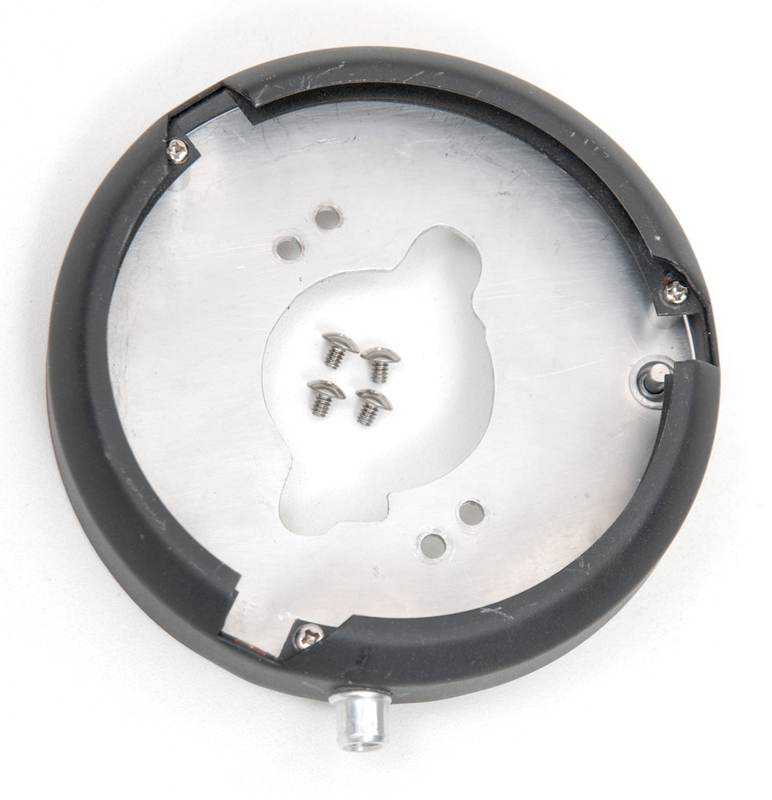 Plus, the face of the Extra Small Heads have four additional threaded inserts that allow the use of additional professional accessories like the separate APBR Bowens™ ProPlate Adapter that fits all Bowens™ style reflectors and light modifiers.